Waiheke Community – you are amazing! A huge thank you to every community member who bought a ticket to the fundraising night, made a contribution to the Give A Little page, made a donation (small or large), donated items for the auction night, approved our grant applications. Together we’ve made it happen. We still have a lot of work to do to make this a success for all our community and get people using the heated pool over the months ahead. A new Waiheke Community Pool Incorporated Society was formed on the 11th of April 2014 with a purpose of helping drive forward the plans for a new community swimming pool and increase awareness and opportunity for people in the community to learn to swim and be safe in the water. 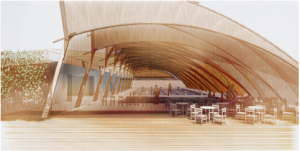 To build a new indoor community swimming pool on Waiheke Island. To provide swimming lessons and water safety education to all sectors of the community. We have presented our plan to the Local Board and the community at a public presentation evening. We are looking to bridge the gap by heating the Te Huruhi outdoor pool to double the amount of time the pool can be used during the year (from 3 months to 6 months or more). 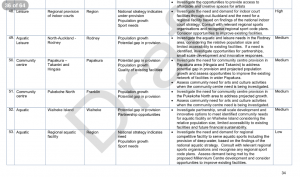 Auckland Council released their draft list of pools they would be funding in 2014. Waiheke was included on the list at number 25. 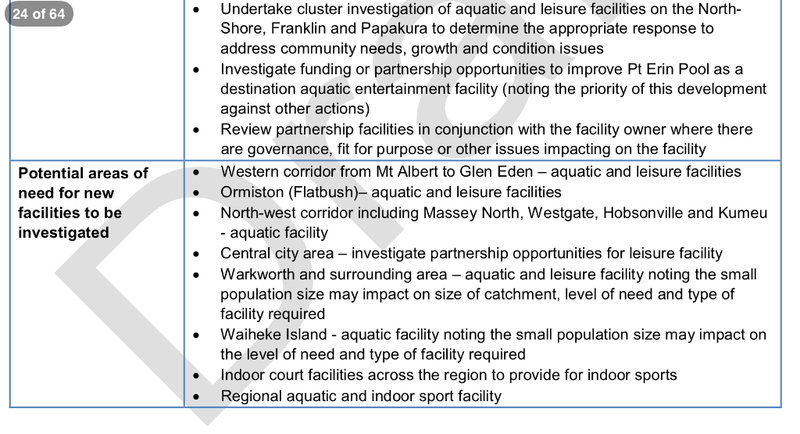 Waiheke’s place on the list and the ‘medium priority’ level it has been given means that Council would be unlikely to look at the requirement for a pool on Waiheke for at least 3 years, with the likelyhood of Council building a pool on Waiheke many more years away after that, if given the go ahead at all. More details below. The Waiheke Local Board is in favour of and supporting the build of a community Waiheke pool. 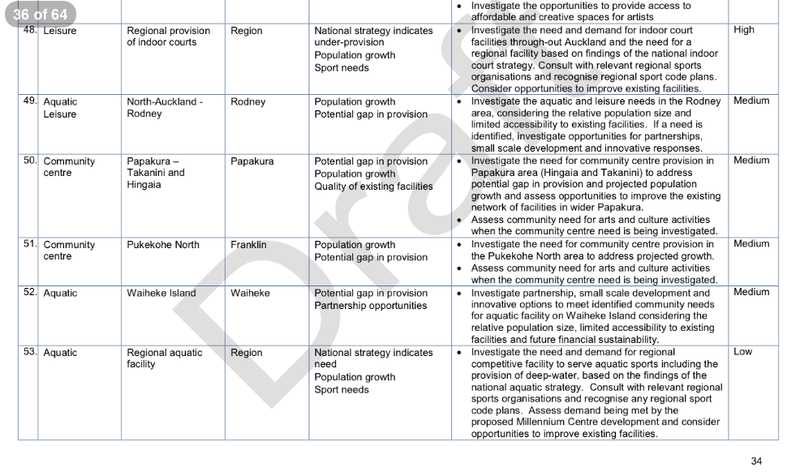 As part of the annual plan process the Local Board has suggested that some money could be reallocated from other projects for a community Waiheke pool project (in part or in full). Feasibility study – The Local Board and School boards collectively have commissioned a financial viability study with respect to a Waiheke pool at the school. A part of this study is looking at other pools on school grounds around the country, how they operate and are managed. This will identify both the capital and operating expenses of a community pool. The funding for this study was granted from the Local Board SLIPS budget at the 30th January 2014 board meeting. Click here to read the full report. Report commissioned from APR (who also produced the feasibility report above) to provide details of what needs to be done to fix the Recreation Center, a community facility which is situated on Ministry of Education land, near the existing high school buildings, and to provide a business case for building a pool adjacent to the center. 2017 Waiheke Community Pool Incorporated presented its findings and a plan for an indoor aquatic facility at Onetangi Sports Park – the best option for the long term future in WCPI opinion, based on research, expert advice, and site comparisons across the island. 2018 Local Board commission a feasibility study on a pool to be sited between te Huruhi Primary School and Waiheke High School – report pending. Auckland Council has released its Aquatic Facilities Network Plan which guides Council’s provision and investment into aquatic facilities across the Auckland Region. 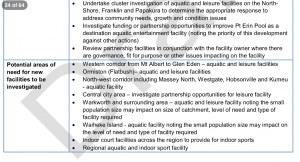 The network plan determines the governing body’s priority for investment into an aquatic facility on Waiheke over the next ten years. Waiheke has been included in the draft list but has been given a Medium priority. It has been included as a ‘potential area of need for new facilities to be investigated’. It has been identified as an area of need where innovative approach and partnership funding could be part of the solution. The reason is has only been given a medium priority on the list is due to the small population levels compared to areas that are included on the list as a High priority. It is likely that it would be many years (possibly 8-10 years) before Auckland Council got around to assessing the need on Waiheke. This is not an acceptable time frame for us and so while it is encouraging that Waiheke has made it onto the list, recognising the work that many local people have put into raising this issue as an area of concern, we will continue to drive forward with plans to help ensure that a new facility is in place within the next 3 years. When the plan is released the amount of capital proposed for a new pools will be available. This is expected to be a pooled amount. Based on the level of priority Waiheke has in the network plan, we will have a clear indication whether Waiheke will receive funding in the next ten years. The Auckland Council Central Facility Partnership Fund is another potential source of funding for a community partnership Waiheke pool project. The size of the fund was $1.5m for applications received in 2013. Access to this funding is competitive with many projects applying for funding. This would need to be undertaken in conjunction with other fundraising. Waiheke Pool © 2019. All Rights Reserved.